It’s always frustrating to drive to a scooter and find out it’s a ghost. Our goal is to help you spend more time picking up scooters and less time hunting around. 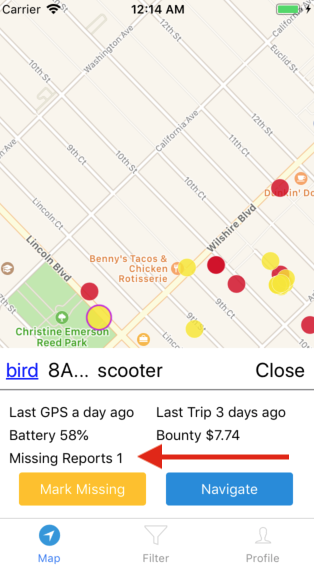 We have let you mark a scooter missing which will hide a scooter from your map for 2 days. Now, you can see if other chargers have marked a scooter missing. Click on any scooter to see how many times another charger has marked it missing in the last 2 days.